Once serving as a tactical function with the mission of strictly reducing costs, Procurement departments are going beyond traditional three bid-and-buy processes to achieve more strategic goals. Best-in-class organizations now leverage procurement groups for making long term investments in critical business units such as Marketing and IT - creating an imperative for procurement professionals to align stakeholders with overarching corporate goals, manage supplier relationships, and constantly seek out innovation in various forms. Procurement is more than just simply finding the right price for a product and service. As such, this business unit must pursue additional measures towards reaching success, including proper category Planning, supplier Partnerships, monitoring supplier Performance, and improving Processes. Is your Procurement organization equipped with the proper resources, and tools? Do you have the proper strategic sourcing processes in place? Are you tracking the correct metrics? 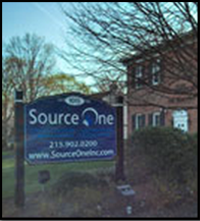 Source One can help. Backed by decades of experience and procurement best-practices our procurement optimization experts can help your Strategic Sourcing and Procurement department assess your current organizational structure and mechanisms, benchmark them against industry standards, and deliver a road map, including category management plans, for taking your operations to the next level.